Home English Kathi Mahesh sings Ram Bhajan, Paripoornananda calls him Valmiki! 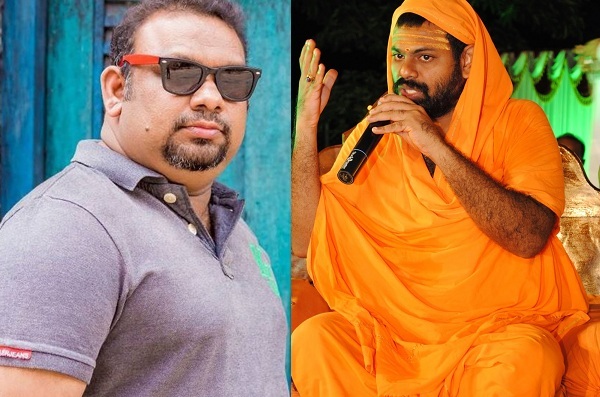 Kathi Mahesh sings Ram Bhajan, Paripoornananda calls him Valmiki! For past couple of days media has been busy covering Kathi Mahesh Vs Swamy Paripoornananda controversy that kick-started with the film critic’s sensational comments on Lord Rama. The drama took a new turn with both of them getting externed from Hyderabad by police. Being active on social media, Kathi Mahesh has been in contact with public by sharing his opinions. He surprised everyone by condemning Swamy Paripoornananda’s externment calling it archaic to follow such a punishment in this age. Today, Kathi shocks us by singing Sri Rama Bhajan. Was he threatened to do so? Or did he really got enlightened by Rama’s grace? are the questions running in the minds of people.